Knockout round qualifiers will be determined on the last round of group stage games. Friday morning, Brazil (1-1-0) needed 91 minutes to score against Costa Rica (0-0-2) in St. Petersburg. The Brazilians hit the back of the net twice in stoppage time and won 2-0. With the result, Brazil (La Selecao) now leads Group E through goal difference. It began to alleviate concerns after a dull opening performance in their 1-1 draw against Switzerland five days ago. 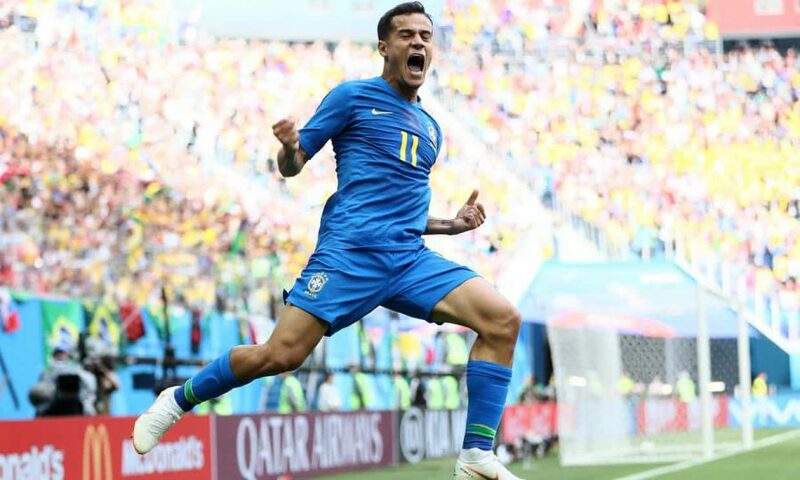 Philippe Coutinho scored his second goal to give Brazil a 1-0 lead one minute into stoppage time. In the 97th minute, Neymar Jr. would finish the scoring just before the final whistle. In Kaliningrad, the Swiss squad also won its second match to stay level on points with La Selecao and hold on to their chance of advancing. Their 2-1 comeback victory over Serbia intensified positioning chances in the knockout round. With one game left, both Brazil and Switzerland move to the next round if they can win. First and second place will be determined by goal difference. Serbia still have a slight chance to replace Brazil or Switzerland in the knockout rounds with a victory over Brazil on Wednesday or a Swiss loss against Costa Rica and a draw against La Selecao and goal difference advantage. The Serbians managed to beat Costa Rica in their opener so they sit just behind both Brazil and Switzerland. Their next and final opponent in the group stage is Brazil. If Switzerland can get a high-scoring victory against Costa Rica, the Serbs have the opportunity to knock out Brazil on Wednesday in Moscow. In Group D action, Nigeria (Super Eagles) followed up its 0-2 opening game loss to Croatia with a 2-0 victory of their own against Iceland. The victory puts the Africans in second place with destiny to advance in their own hands. A win-or-go-home scenario has risen between Argentina and the Super Eagles. St. Petersburg will host these two on Tuesday with group leaders Croatia needing to defeat Iceland on the same day in Rostov-On-Don if La Albiceleste or Nigeria are to progress. The Nordic country still has a chance to advance with a win over Croatia and a draw between Argentina and Nigeria or an Argentina win with a better goal difference.